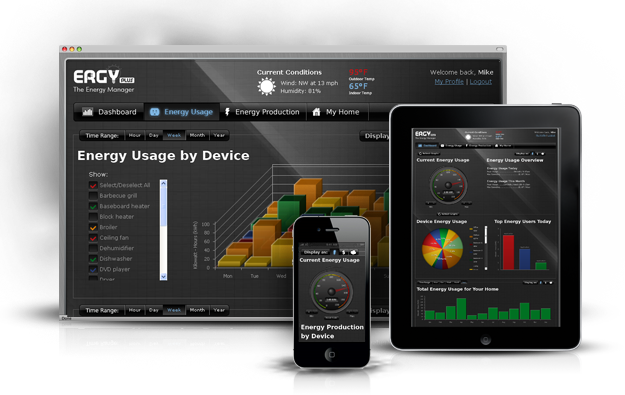 Building upon the success of ERGY as well as several custom energy management solutions, Echo Labs Energy Management will publicly release ERGY 2.0 complete with interface upgrades, customized reporting capabilities, new device compatibility, and advanced metering algorithms directly following the CEDIA Expo. Read more or view the press release. One of the key elements of the EEM solution is the ability to provide open data communication. In today’s buildings there are many protocols that need to be communicated with. Being able to quickly configure, run and distribute accurate reports on the data collected is just as important as collecting the data. ERGY acts as the sustainability platform, making a building more efficient in M & V reporting, Reducing energy costs, Reduce overall carbon footprint, Visualize and manage energy usage in real time, Optimize and schedule climate and lighting, and assist in meeting LEED certification.